Marking the end of the second week of the labour dispute at Nipissing University, CAUT Defence Fund flying pickets are in North Bay and Bracebridhe today to show solidarity with full-time faculty fighting for a fair deal. "The people of Northern Ontario deserve quality education," said CAUT President Robin Vose. "In order to offer students a broad selection of programs and to attract and retain highly qualified professors, you have to offer fair and competitive compensation packages." "If not, the university will not succeed in attracting professors, the quality of Nipissing degrees will suffer and programs will be cut forcing young people to go elsewehere for their education," Vose insisted. The Nipissing Univesity Faculty Association, which represents the striking academic staff, has been calling for democratic governance, fair pay, and job security for full-time faculty. 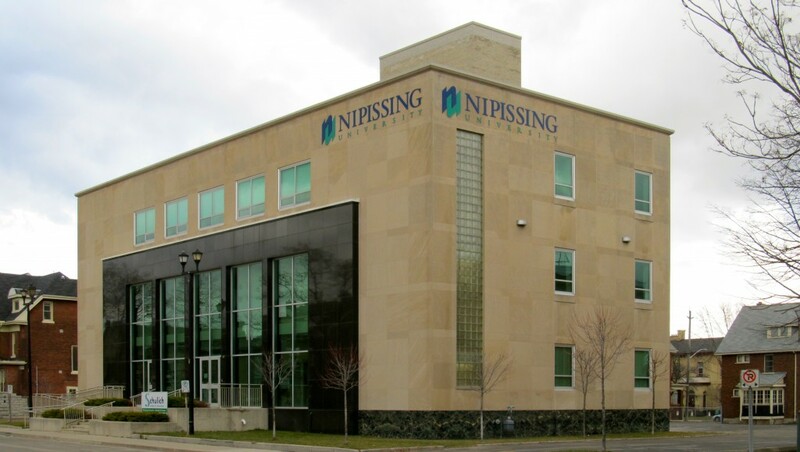 Currently, professors at Nipissing are the second lowest paid in the province of Ontario. "Do people from North Bay and Bracebridge deserve a second class university giving second class degrees? The answer is no," added Vose.